We cook at your location with real fire! 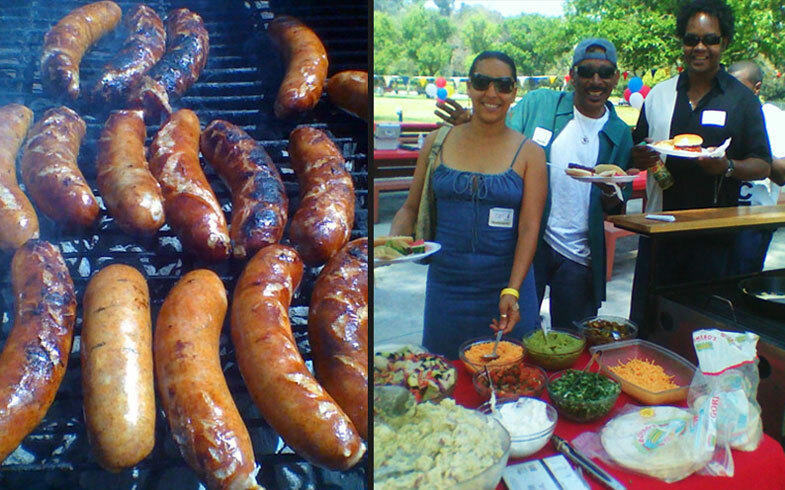 Hamburgers, Hot Dogs, Bratwurst and more. All of our salads are HOME MADE. 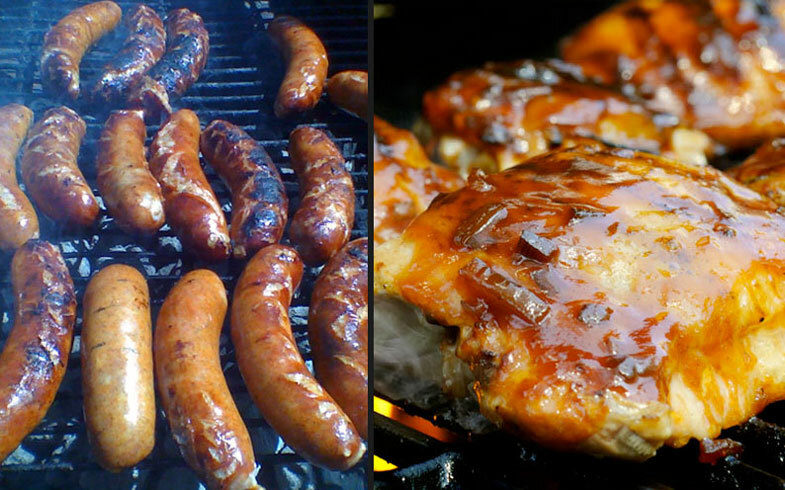 At Buck’s Barbecue Catering, we love making people happy by serving them good food. We prepare Santa Maria style barbecue, and almost everything we cook is prepared in our kitchen in Van Nuys; with the final cooking being done at your location on our grills. 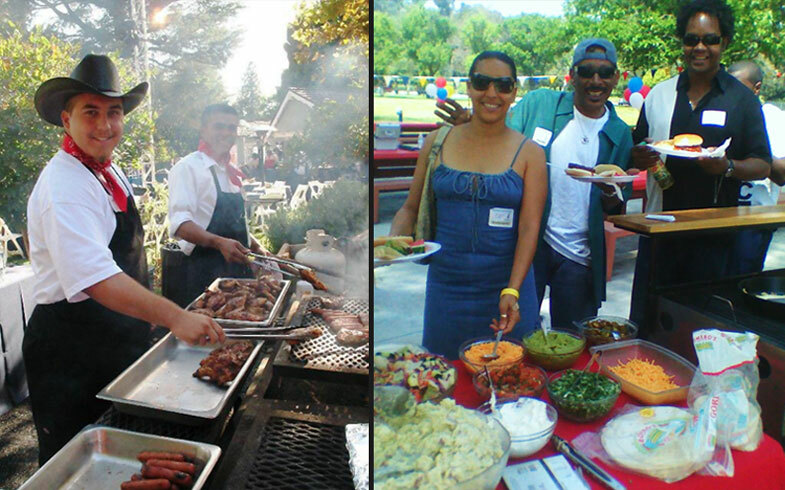 On site barbecue catering is our specialty. Our barbecue beef tri tip and BBQ Chicken are cooked completely on site at your location, along with our grilled salmon, bratwurst, grilled vegetables and corn roasted in the husk. Our beef ribs, pork ribs, spare ribs and baby back ribs are pre smoked in our smoker at our kitchen and then finished on the open fire. We are a brick and mortar company located in Van Nuys, California. Our food is unpretentiously good. Because we are mobile, we serve the greater Los Angeles county area including most of Ventura County and Orange County. 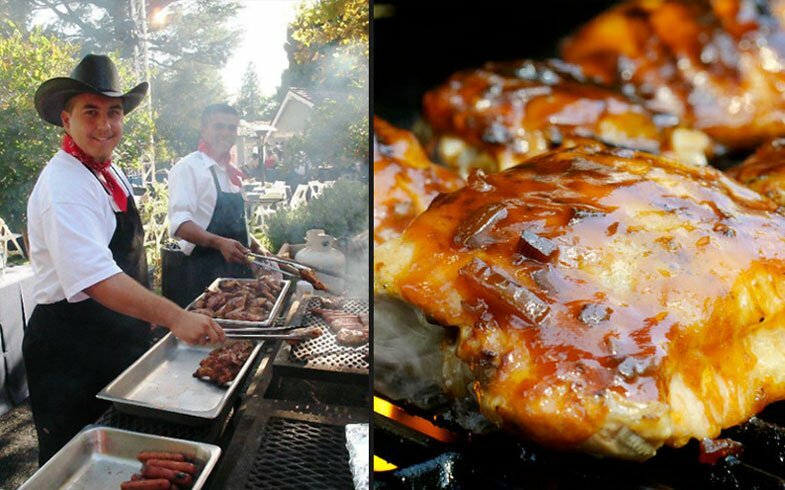 We have been providing on site BBQ catering since 1990, and cater all kinds of events including weddings, birthday parties, Quinceañeras, company picnics, grand openings, topping off celebrations, safety BBQ’s, showers, baby naming parties, bar mitzvahs, bat mitzvahs, bas mitvahs and even a bris now and then. We are happy to help with all your special occasions! Call Buck’s BBQ Catering Co. for your next event.